Graphic Novel Resources: Can't We Talk About Something More Pleasant? A National Book Award Finalist and New York Times Bestseller, Can't We Talk About Something More Pleasant? 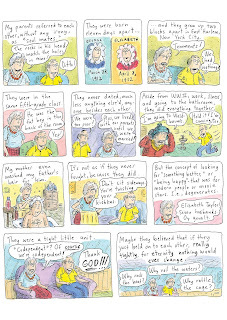 is a celebrated memoir by long-time New Yorker cartoonist Roz Chast, where she chronicles the final years of her parents' lives and how she came to care for them. Chast is very candid and frank about her relationships with both parents, and she was very eager to get out of their home as soon as she was able (going to college at age 16) and they seemed very much interested in maintaining their bubble. Her parents Elizabeth and George were married while in their 20s and lived in the same apartment for more than 40 years. Both were public school educators, and she was the more vocal and aggressive of the two, a vice-principal, while he was more introverted and docile, a French teacher. They were constant companions, taking care of each other and maintaining routines that masked their eventual aging and individual health declines. Endearing, funny, and also eventually troubling. Eventually, when they were in their 90s, life began catching up with them. When Elizabeth had a bad fall Chast realized that they needed assistance. At first, this entailed less invasive practices, like utilizing Meals on Wheels and regular check-ins. But eventually, matters grew more dire, and they had to enter into old age facilities that could offer medical and other services. Not only did Chast have to contend with her parents' aging but also their changing mental states, their growing medical needs, legal/financial concerns, and the costs of providing help without the benefit of insurance. This book is impressive in multiple ways: It is informative about the processes of taking care of older people, personal in how it portrays the Chast family and its dynamics, and darkly funny with Roz Chast's particularly witty and idiosyncratic voice. This book is a powerful read, simultaneously moving, heart-breaking, and eye-opening. 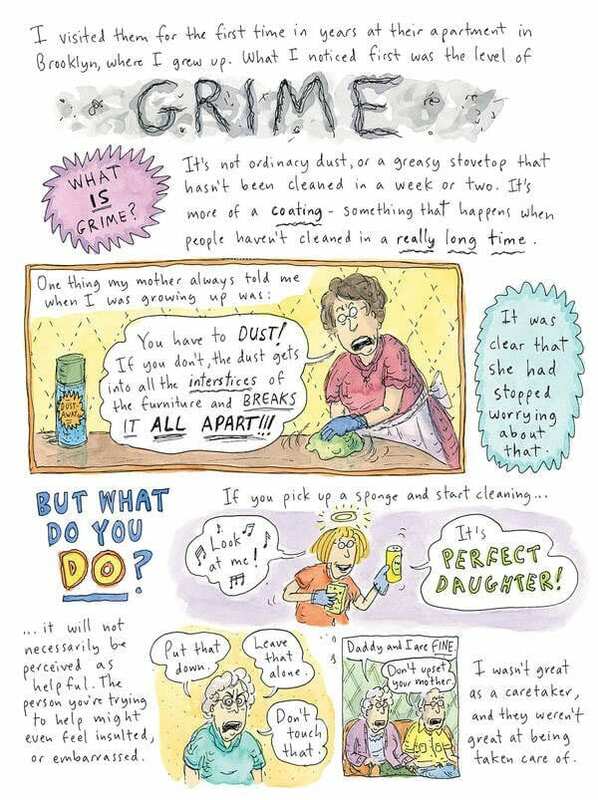 Roz Chast has a long career in cartooning and comics, with multiple collections of her New Yorker work available in book form as well as her latest graphic novel memoir Going Into Town. She speaks about her experiences and work on Can't We Talk About Something More Pleasant? in this interview. This book is much lauded and has been heaped with praise and accolades. 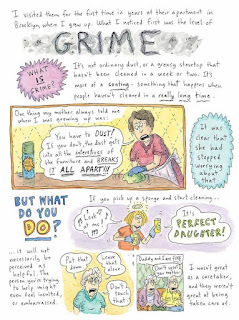 In its starred review Kirkus Reviews concluded, "A top-notch graphic memoir that adds a whole new dimension to readers’ appreciation of Chast and her work." 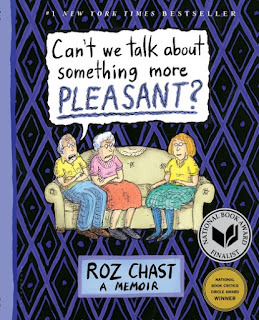 In another starred review Publishers Weekly called it "a cartoon memoir to laugh and cry, and heal, with—Roz Chast’s masterpiece." Alex Witchel closed his review with these lines, "No one has perfect parents and no one can write a perfect book about her relationship to them. But Chast has come close." Can't We Talk About Something More Pleasant? was published by Bloomsbury, and they offer a reading guide and more info about it here.